Ted Cruz introduces resolution affirming connection between Jewish people and Jerusalem, praises Trump for withdrawing from UNESCO. 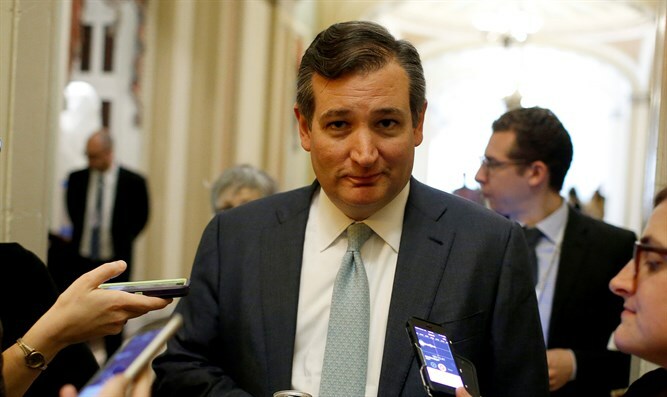 U.S. Sen. Ted Cruz (R-Texas) today announced he will introduce the Senate companion to H.Res.570, a resolution introduced in the U.S. House of Representatives by Rep. Matt Gaetz (R-Fla.), reaffirming the deep historical connection between the Jewish people and the city of Jerusalem. The resolution also expresses support for the Israeli government’s protection of religious freedom for all faiths, and condemns the United Nations Educational, Scientific, and Cultural Organization (UNESCO) for the anti-Israel resolutions it has passed in recent years. The U.S. State Department announced on Thursday that the U.S. would be leaving UNESCO because of its “anti-Israel bias.” Binyamin Netanyahu, Prime Minister of Israel, called the decision “brave and moral,” and indicated that Israel is planning to withdraw from UNESCO as well. The U.S., however, will remain an “observer state” in UNESCO. Sen. Cruz’s and Rep. Gaetz’s resolution urges the U.S., regardless of its UNESCO membership, to work with its allies and prevent future anti-Israeli resolutions from being adopted.